When it comes to investing in airline stocks, resist till Air India persists, unless price becomes very compelling. We are not at that point yet, as one would guess, says ArunaGiri N of TrustLine Holdings. For many industries, demand outlook defines and dictates profitability. A brighter outlook on demand invariably means buoyant profits. But that equation hardly holds for the airline industry. With buzzing airports and jammed taxiways, demand is the last thing the airlines are anxious about. While there is no dearth of demand for air travel, profit has been patchy and is hard to come by. Where is a disconnect? First some numbers. Analyzing the airline’s annual report is not easy. One can easily get lost in the innumerous metrics that gets thrown around. The jargons are not few. Starting from RPK, it goes on to ASK, RASK, CASK and so on. Looks like they are designed to deceive rather than to help to dissect. Still, no harm in understanding what are they. RPK refers to revenue per passenger-kilometer while ASK refers to available seat-kilometer. Rest should be easy with RASK pointing to revenue per available seat-kilometer and CASK representing the cost side of the equation. If analyst’s job is to distil the complex numbers into a simple insight, here is this simple question that can help to distil and understand the economics of airline business, particularly in the Indian context. Monthly passenger traffic has doubled from around 6 million in early 2015 to over 12 million now. Yet, the ticket prices (represented by RPK) have hardly moved and has been flat since then, not even catching up with inflation, leave alone the surge in fuel and other operating costs. What is that invisible hand that has stopped the airlines from even increasing the yield marginally? There is something that does not smell right in the economics of airlines business. With demand surging, it may not be so much to do with surplus or over-capacity, which is the usual culprit for poor economics. The pace of capacity additions on the easy lease-back model is a worry, especially by weaker players. It could be on account of high fixed operating costs the industry suffers from. Fixed costs as a percent of revenue are over 60 percent in most of the cases, thanks to the high proportion of lease rental costs. But, this alone does not fully explain the poor economics, as the industry is reasonably consolidated with top three players garnering over 65 percent of the market. Such a consolidation should have lent a reasonable degree of pricing power, if not an absolutely free hand. Where is the catch then? Here is where the Maharaja comes. With inefficient operations with legacy overheads and reasonable spare capacity with falling market share, Air India has emerged as the Achilles-heel for the airline industry. Jet Airways is not far behind in playing a spoilsport with its weak financials and inefficient operations. More so, with both crude and currency trading near precarious levels. 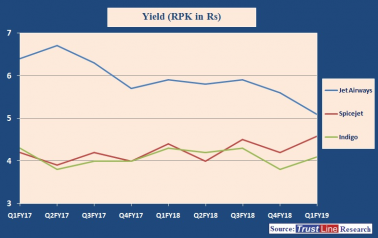 The lethal combination of rising crude oil prices and falling rupee is likely to act as a double whammy and could wreck the pricing plans of relatively stronger ones further with significant spare capacity at their disposal. To answer that simple question we had posted above, the industry’s lack of pricing power may be arising from the rare blend of industry’s inherent fixed cost structures and spare capacity in the hands of weaker players. If this reading is right, then, it may be easy to conclude that the economics would improve only if the weaker players are absorbed (further consolidation) and flushed out. 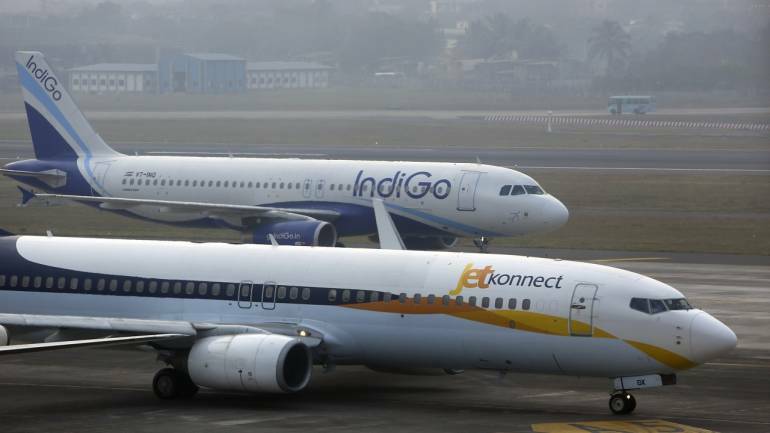 Until then, airlines business can hardly become an attractive long-term investment opportunity given the vulnerability of high-cost structures and fuel price risks (in Indian context of course). To summarize, when it comes to investing in airline stocks, resist till Air India persists, unless price becomes very compelling. We are not at that point yet, as one would guess.